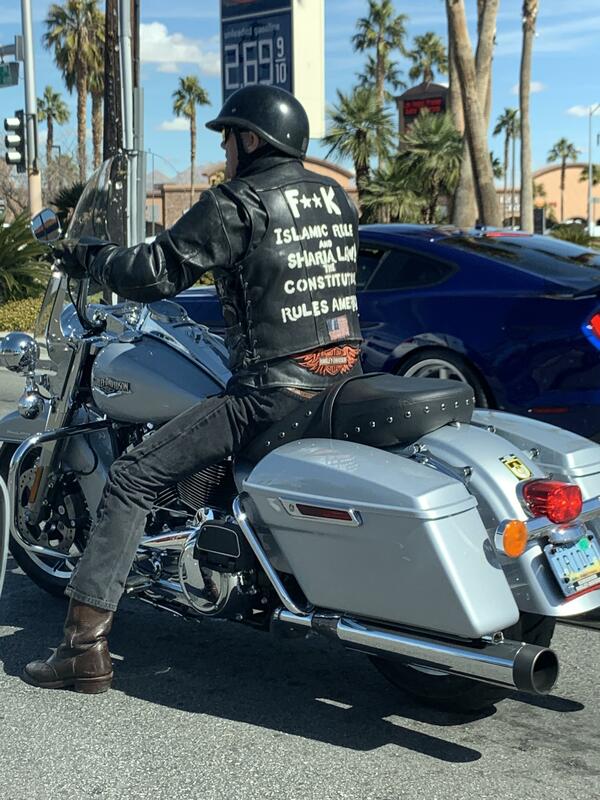 I just drove by this badass Special Forces Vet. I rolled down my window to express my gratitude for his service. He quickly said “I was just a 20 year old, looking for adventure.” Thank you to all of you that have served! MAGA! Special operations guys were always the coolest to me. They had something that drove them and a mentality among them that is very controversial and taboo now, especially among SEALs and MARSOC. I'm trying to join the military down the road, and have befriended some guys in those communities who give me pointers and I find a lot of these old-world, super alpha, badass types of mentalities. I've kind of noticed they have a far different perspective on killing and why they joined and so on that the average troops. It's controversial but I love it. Like some of the advice these fuckers have given me, haha. "If I were you, man, I'd just wait until there is a really good war that comes about to enlist. Nothing worst than being trained to kill and having no one to kill". Among what normal troops I hear the usual "Ohhh man I hope I never have to kill anybody...taking life is one of the hardest things in the world". Then I look at my father who was an operator in Latin America and killed communists and drug cartel members in droves while working low-key with Uncle Sam and is a real jolly dude. So odd. I wonder what it is. Reminds me of a guy who volunteered to go fight ISIS and wrote a book, "Blood makes the grass grow". "The book have been a bit controversial here in politicaly correct Norway, and one of the critics even wrote I shouldn’t have been so honest in describing war in the way I did. I don’t really care about that. I decided to be a hundred percent honest and explain why I had this wish to experience combat, with all the risks that follows. And the feedback from fellow norwegian soldiers and veterans tells me that I’m not alone. A lot of people have told me they can relate, and I’ve even had some active duty soldiers reaching out and say they feel the same way as I did back then, but that they are too afraid to talk about this subject publicly. Hopefully, this book will make it easier for soldiers to accept that it’s normal for someone in their profession to have a lust for war, and perhaps also help outsiders to understand what’s going through a warriors mind. To everyone who have bought my book so far, thank you so much, and make sure to share your opinion using the hashtag #minkampmotkalifatet, and for my international followers, please bear with me for a few more months. Thanks!" "Got to be honest and say it feels good to see my book in the stores. I have no idea how it's selling right now, but the feedback from those who have read it have been very positive, and that's what matters the most. Norwegian active duty soldiers and veterans especially have told me they can really relate to the mindset I'm describing in the book, and the wish to experience combat. This is unfortunatly something that is frowned upon in politicaly correct Norway, so they can't really talk loudly about this subject, but I hope my book can create some kind of acceptence or understanding of why some men dream about experiencing war."